"Sampath Speaking" - the thoughts of an Insurer from Thiruvallikkeni: Bombay High Court observes right of Union Govt to revise fare - however some relief !! Bombay High Court observes right of Union Govt to revise fare - however some relief !! Can you identify or link the list consisting of : Asaf Ali, John Mathai, N. Gopalaswami Ayyangar, Lal Bahadur Shastri, Jagjivan Ram, Swaran Singh, ……… Madhu Dandavate, …..Madhavrao Scindia, George Fernandes, Jaffer Sharief, Ram Vilas Paswan, Nitish Kumar, …Mamata Banerjee, Lalu Prasad Yadav …………………………. and if yes, do you know William Mitchell Acworth and his Indian connection ???? The long list is some of the Railway Ministers of India. Railway Budget is the Annual Financial Statement of the state-owned Indian Railways, while handles rail transport in India. It is presented every year by the Minister of Railways, representing the Ministry of Railways, in the parliament. The Railway Budget is presented every year, a few days before the Union budget of India. It is expected the forthcoming railway budget may bring some cheer to passengers who have been denied high-speed travel for decades despite promises in the past. 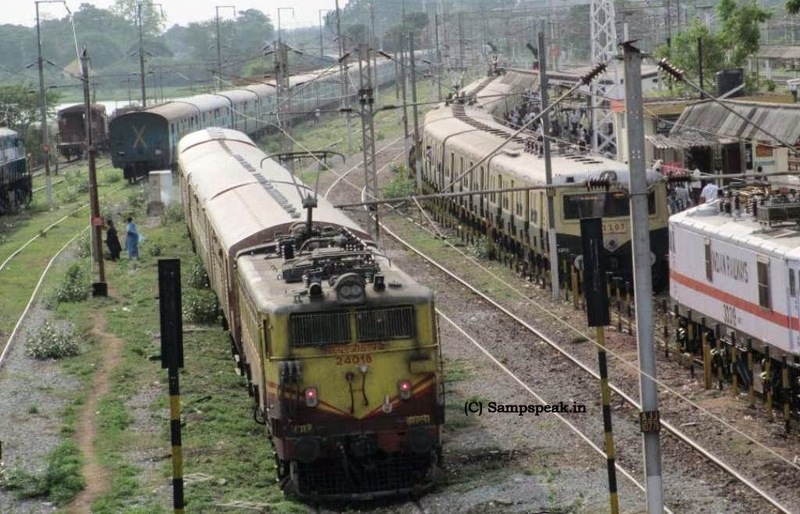 The railways reportedly are working on two proposals—introducing trains with speed of more than 300 kmph on dedicated corridors and running trains at speed of 130-150 kmph on the existing tracks. For bullet trains, the high-speed corridor from Mumbai to Pune and Ahmedabad to Mumbai is on top of the railways' priority list. The Narendra Modi government on Friday administered the first bitter pill it prescribed with the railways announcing a sharp hike of 14.2% in passenger fares and 6.5% in freight tariffs. Firstpost reported that in Feb 2014 when the UPA was in power, it was the Railway Board which proposed increase in the freight rates and increase in the passenger fares. The proposal was to rationalise the freight rates – the proposal was to give the Railways an additional revenue of Rs 7900 crores. The then Prime Minister approved the hike and suggested that both freight and passenger fare should be implemented with effect from 1 May, 2014 itself. The Railway passenger fare and freight rate revision was done as part of interim budget presented by the previous government. But the implementation of revised rates was withdrawn by previous regime because of the elections. Going by the Press release of the Govt. of India, the following are the changes to be effective from 25th June 2014 in a nutshell. Freight : A flat 5% increase in freight rates and an additional increase of 1.4% on account of FAC (Fuel adjustment Component) which was due since April 2014. The overall increase in freight rates will be 6.5% approx for major commodities. Withdrawal of short lead concession in charging of freight for all traffic booked upto 100 kms. Minimum distance for charge has been increased from existing 100 kms to 125 kms. Passenger : A flat 10% increase in all classes. Second Class Monthly Season Ticket (MST) fares of Suburban and Non-suburban shall be charged on the basis of 30 single journeys instead of approximately 15 single journeys. Fares of First Class Monthly Season Tickets will be charged @ 4 times the Second Class Monthly Season Tickets (MST) Fares as is done presently. There shall be no change in charges for reservation fee, superfast surcharge etc. Such charges, wherever applicable, shall continue to be levied additionally as per existing instructions. The revised fares will also apply to tickets issued in advance for journeys to commence on or after 25.06.2014. Upon an enquiry at MRTS Triplicane Station, it was informed that they had not received any circular thus far, and that the season tickets already issued might continue till their expiry. However, the latest news now suggest that as a relief for suburban commuters in Mumbai local trains, the Railways have decided not to increase fares for the first 80 kms for those travelling in the 2nd class. The Railways have said this cannot be called a roll back of fares, but is restructuring. This restructuring is not just for Mumbai but for suburban trains across India. However, Mumbai would have been the most affected by the steep hike in fares since the locals are its lifeline. Economic Times reports that Bombay High Court has today refused to stay the recent fare hike observing that Union Government has the right to revise the railway fares. The court was hearing two public interest litigations challenging the steep hike. Former journalist Ketan Tirodkar has filed a PIL challenging hike in suburban train fares for Mumbai, while Mumbai Grahak Panchayat, a consumers' organisation, has filed another PIL which questions the steep rise across the board. The Court refused stay of the hike. Now coming to the Q : Sir William Mitchell Acworth KCSI was a British railway economist, barrister and politician. In 1889 he wrote Railways of England followed in the following year by Railways of Scotland. These two books comprised a series of descriptive articles of the railways, but his later work concentrated on the economics and statistics of the industry. In 1921 Acworth was knighted and appointed chairman of the Committee on Indian Railways. The report of the committee, known as the "Acworth Report", led to reorganisation of railways there, and the creation of a separate Railway Budget, an arrangement which continues in independent India today. In 1923 he prepared a report on Austrian railways for the League of Nations.